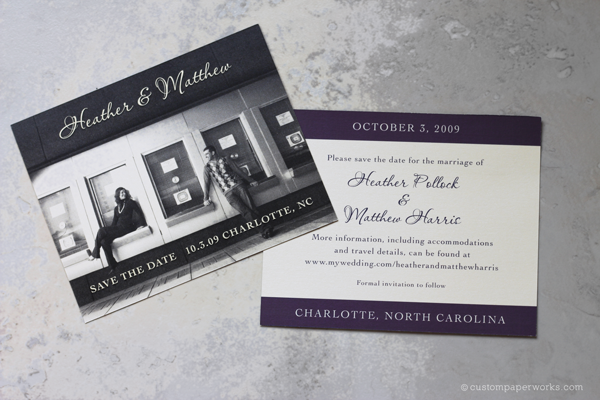 Heather originally ordered custom save the date cards featuring a photo from their fun engagement photos that were taken in downtown Charlotte, NC. 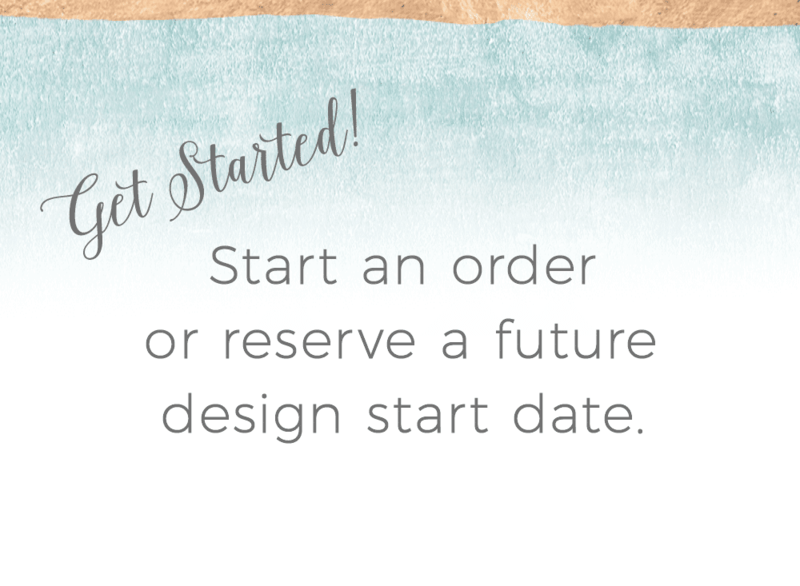 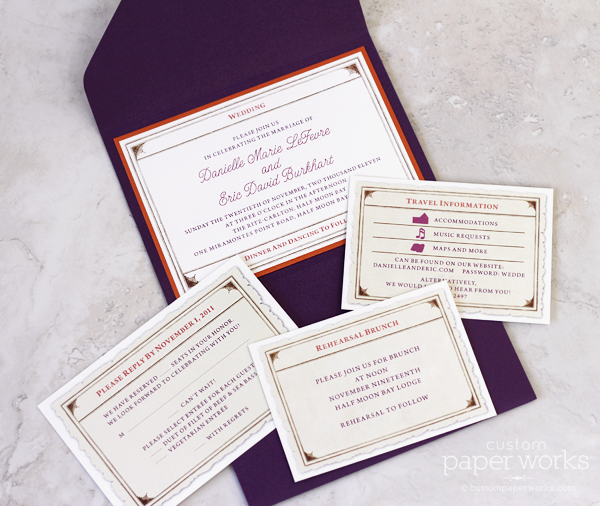 For the invitations, Heather had a pretty specific idea of what she wanted – lots of ivory/off-white, swirly graphics, traditional fonts … and “something extra” to make them stand out. 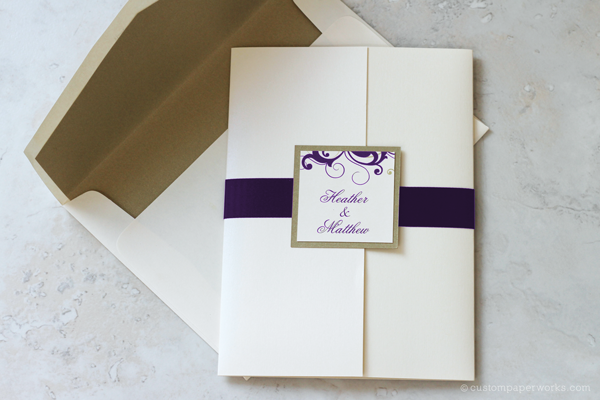 A GateFold with a double-layer monogram seal and gorgeous plum ribbon housed the insert cards. 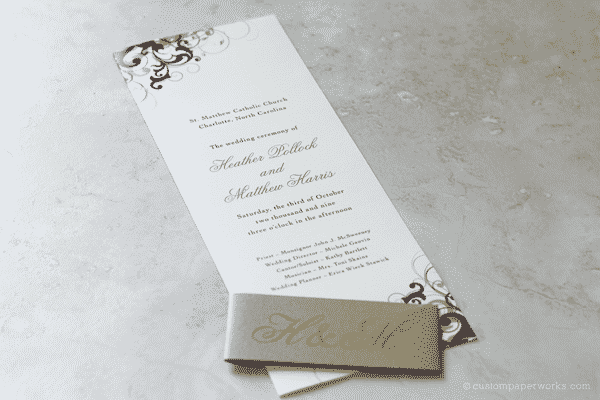 I love how simple, clean and elegant the design ended up. 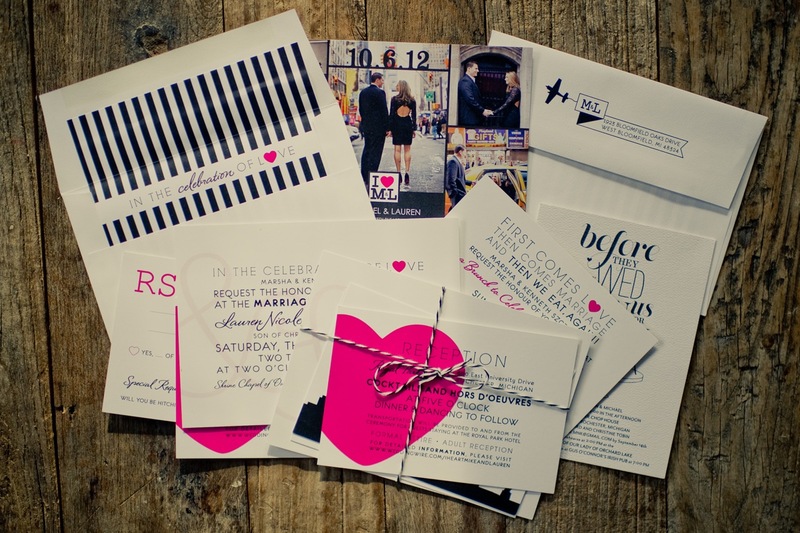 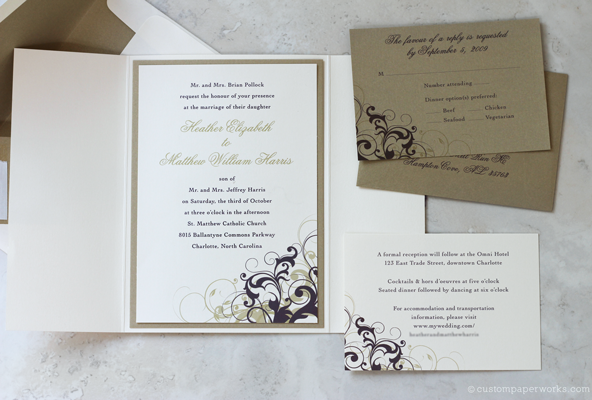 When it came time to create programs, we stuck with a traditional style but added a monogrammed belly band that covered their names until opened – a element that tied back into the invitation design and added an extra surprise element as well.